Born 1973 in St.Georgen am Steinfelde (St.George at the Rockfield - Austria). Used to live in Germany, Amsterdam, and London. Christa Amadea lives and works in Vienna. In her photographic works, Amadea plays with powerful light sources in combination with intense colour to create dynamic and amplified focal points in her viewers' field of vision - metaphysical openings to a spiritual or connective reality. Christa Amadea's work has been shown at "Sotheby's - Art link" in New York & Tel Aviv, Frieze Art Fair and at the Stedelijk Museum in Amsterdam. Her work is included in the Austrian government art collection and in private collections worldwide. Christa's work has won prizes including the Jury prize in SaarbrÃ¼cken (Germany) & the Sao Paulo /Art Festival (Brazil). Since 2005 she has been teaching photography at the college of fine art in Linz. She graduated in New Media Art at the "SaarbrÃ¼cken College of Design & Fine Art" where she was a student of professor Ulrike Rosenbach (Master student from Joseph Beuys) and Valie Export (Salzburg,international summer academy of fine arts) She also completed a MFA in Fine Art at Central Saint Martins, London. 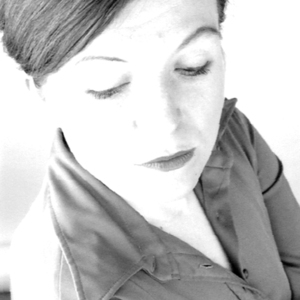 Christa's work is mainly mixed media based, has included photography, performance, video, audio and film. She has an intense and direct approach, exploring her personal fiction. Splitting matters of light, she mixes new metaphorical perceptions, drawing comparisons with pop music and popular artifice. Christa:A love story about photography. My whole live I have been surrounded by family members who took pictures from everywhere and everything. As a child I had so much fun to look at pictures hours and hours, I think there was the time when I programmed myself towards photography. I took my first picture on my first day trip at the primary school with age six. It is a picture with some classmates in front of an advertising wall. In my artwork the daily life and his dramatic exchange of situations and transformation of materialisation in all levels inspireÂ´s me. COLOUR LIGHT CONTRAST MATTER - AESTHETIC - Honestly I could dive into. My art has more a narrative aspect. I like to tell stories with my images. And I have such a thing with animals. god knows ? Lately I collaborate with Vivienne Francis.